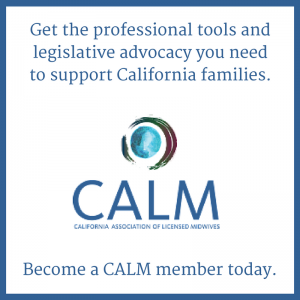 CALM works closely with midwives, consumers, and the state legislature towards legislation, statutes and regulations that ensure access to the safe, patient-centered care of licensed midwives. Removing the paternalistic and outdated licensed midwives scope of practice restrictions in the Licensed Midwifery Practice Act (currently in statute) – many of which are not based in evidence and create significant barriers to access. End the Medical Board’s regulatory oversight of licensed midwives (LMs), which creates an inherent conflict of interest that has led to a regulatory stalemate, putting VBAC clients at risk and preventing LMs from providing Comprehensive Perinatal Services to clients who qualify. 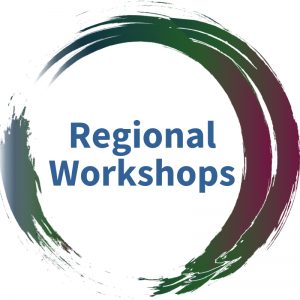 Transfer regulatory oversight for licensed midwives (LMs) to an independent, LM-majority Midwifery Board with the authority to develop an evidence-based scope of practice and practice guidelines that meet the needs of midwives and their clients. Remove the regulatory barriers that prevent Licensed Midwives from providing Alternative Birth Center specialty clinic services to clients seeking birth center care.